It may be Tuesday for you and me, but at Timbuk2, it’s already Black Friday. 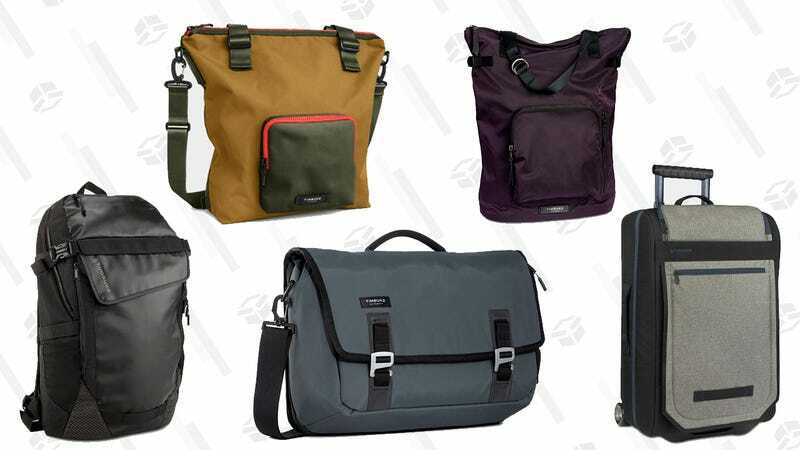 Backpacks, totes, messengers, and luggage are marked up to 50% off, including one of your favorite rolling carry-on bags, the Copilot. You’ll be wishing you had taken advantage of this sale a month from now, when the whirlwind of Christmas travel has taken its toll on your old bags and you have no replacements.